France’s Minister of Sport Laura Flessel, hosted by French Squash Federation president Jean Denis Barbet, has visited the French Squash National Training Centre in Creteil to watch women’s world No.2 (and WSF Olympic Commission member) Camille Sermecompeting in a French Regional League match on the eve of her departure for Philadelphia to defend her US Open title. 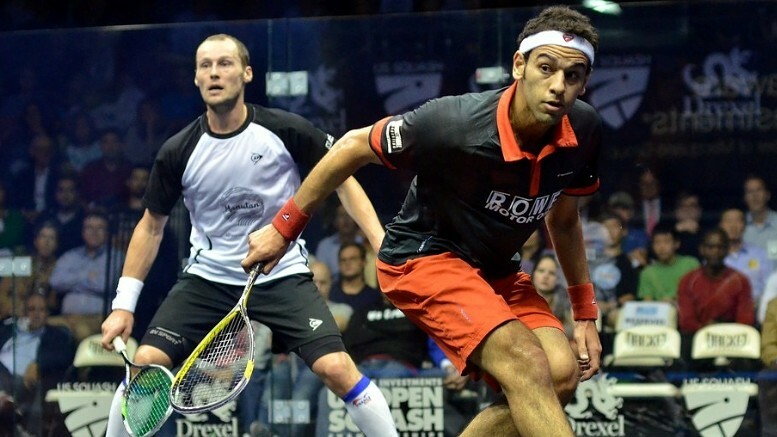 Flessel was impressed by the athleticism of the players. 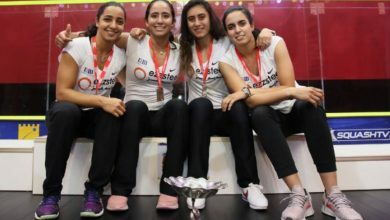 The former Olympic fencing champion explained to Serme that she had played squash during her time competing internationally, as it is an excellent sport for reflexes, fitness and stamina. 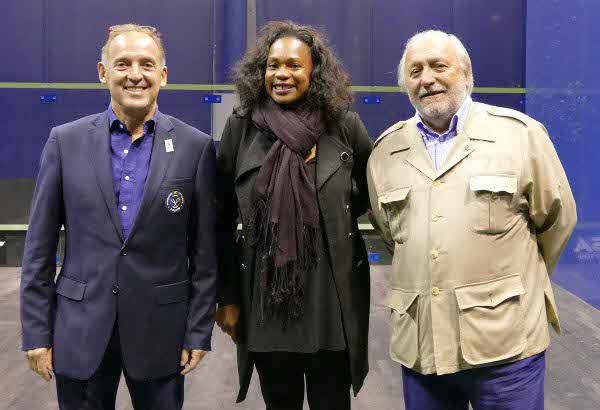 World Squash Federation President Jacques Fontaine, who also attended the meeting (and is pictured above, right, with Flessel and Barbet), said: “Squash is a very well established sport in France, with great players such as Camille, Gregory Gaultier and others too.